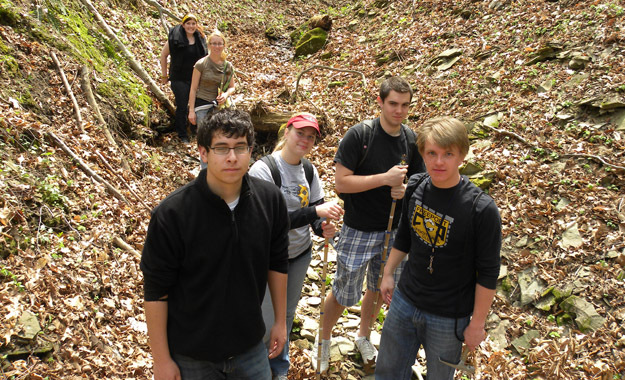 The College of Wooster 2010 Sedimentology & Stratigraphy class in Spangler Park near Wooster, Ohio. Small classes are such a delight! WOOSTER, OHIO–I let my Sedimentology & Stratigraphy class talk me into an afternoon field trip to Spangler (or Wooster Memorial) Park just west of town. It was a perfect day of sunshine and cool breezes. While I made plans to measure sections and do other formal geological work, we ended up just enjoying the creek, birds, flowers, rocks, fossils, trees and other delights of Ohio in the spring. We could not have found a better way to celebrate Earth Day. 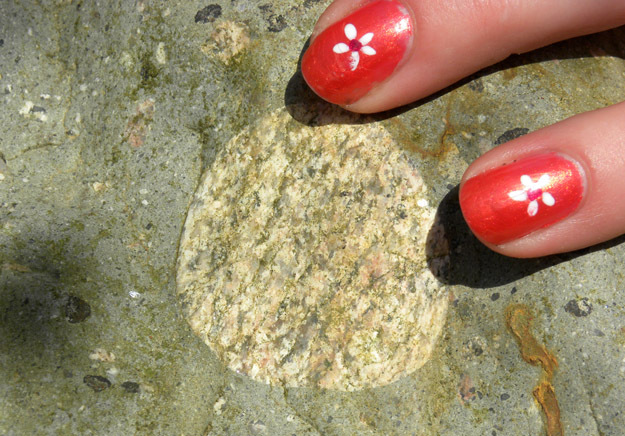 With the fancy nails of Megan Innis for scale, this is a granitic dropstone in a greenstone known as the Gowganda Tillite. In one of those wonderful geological twists, this rock is a glacial deposit formed in Ontario, Canada, 1.8 billion years ago. It was much later carried to Ohio by a Pleistocene glacier. The dropstone is thus at least twice-removed by ice from its original source. 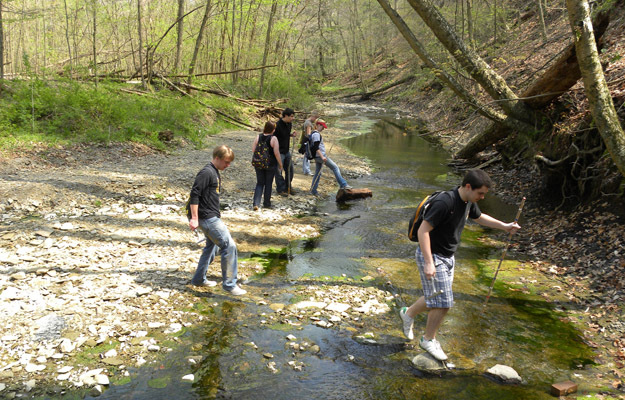 The class crossing Rathburn Run which flows through the park. The creekbed has many fossiliferous pieces of sandstone, shale and limestone. 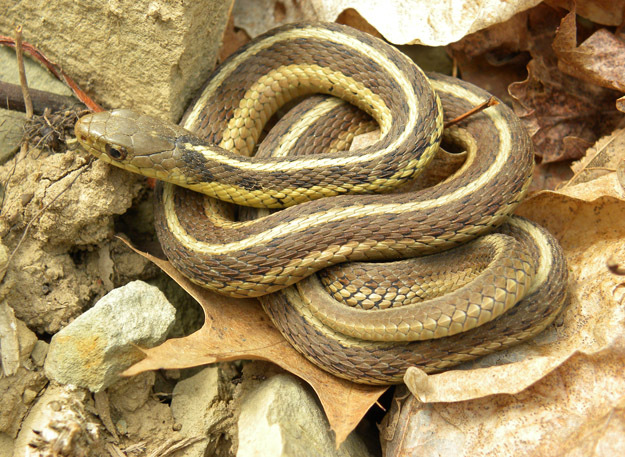 An Eastern Garter Snake (Thamnophis sirtalis sirtalis) on an oak leaf in Spangler Park.